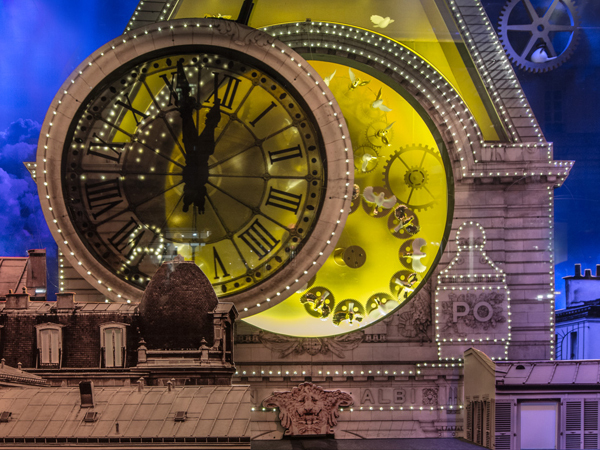 Le Bon Marché continues its 160th anniversary celebrations in its Christmas windows, paying tribute to the Rive Gauche. 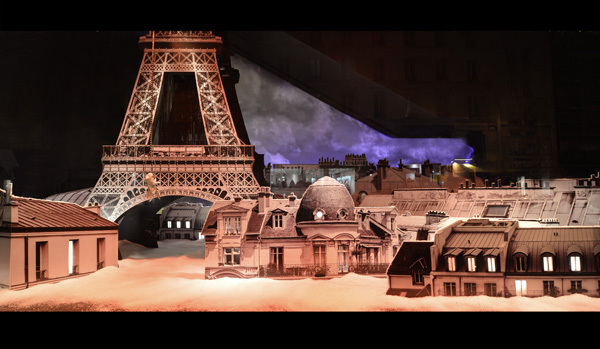 Four of the Left Bank's famous landmarks are represented in two-dimensional cutouts, which are layered to create a 3D effect. To increase the illusion of depth, the cutouts also sit on the window pane as well as extending beyond, encasing the stairs provided for small children to perch on – something which Paris is typically known for. 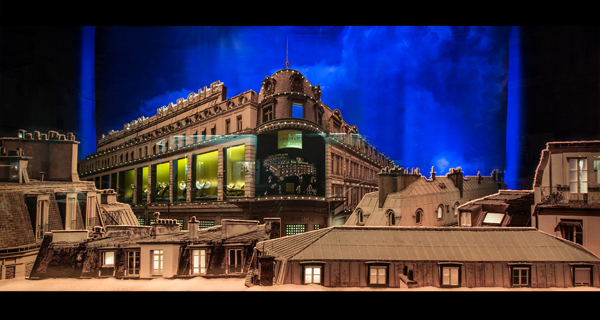 Homebuildlife subscribers can read our full report on Paris department stores' Christmas windows here.